Been following on Twitter & that’s great, your blogs are also very good. Have a French Bulldog and for some reason i am drawn to dogs with ‘smushed’ faces! I like your blog! I love this website! Finally a website for those who are in love with the bullies just like me! I found you on Twitter and have to say I’m in love with your website! Finally someone who is obsessed with bullies just like me!! Hi I was just wondering if u knew when a English Bulldog puppy should walk? My male (Winston Churchill) & my female (Margaret Thatcher) just had their first baby a little girl we call Una she is now 4 weeks & is still not walking. I called my vet but he told me not to worry so much & that he will examine her when he sees her @ 6 weeks. My bullies are my babies & I do tend to worry but I just wanted to know if these worries are legitimate or if I should just wait, after all bullies tend to do things in their own time. If I could get some feedback from someone who actually has bullies it will mean a lot to me. Thank-you for your time. Pls keep me updated, congrats on your puppy and hugs for the bulldogparents. P.S I love your post they make me laugh everyday! Hope 2 see more of Una..
What a super site! We used to have a bully, Fred the Bulldog. After the first of the year we plan to get two more. Thanks for all U do. Look forward to your posts every day. God bless U, James & Miss Bean. Bullies are truly the bestest! Hi Sabrina, Thanks for stopping by my blog and liking my post. Looks like you’ve got two ‘true companions’ yourself! Love the pics. Thank you thats really sweet! 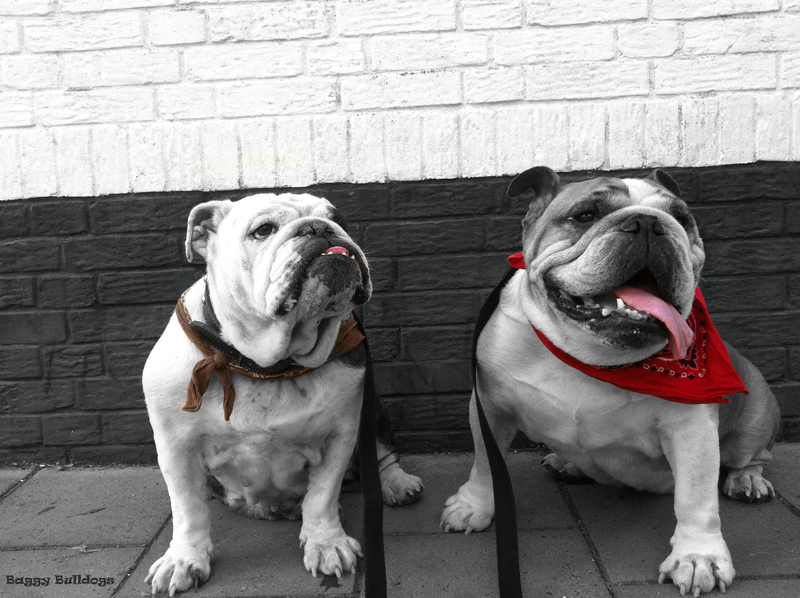 Dear Sabrina, your bulldogs are so cute! My husband and I don’t have children–well, we do have three “babies”–our three bullies! I am Greek-American, so our dogs are Achilles (5), Oia (4), and Opa (3 years old). They give us so much joy, and I love just looking at their cute faces. I have more pictures of our dogs on my Instagram: kimberlykrobeson if you want to check it out. Thanks for your post and I will continue to check out your blog! Thank you for continuing with your blog and sharing the breed. Hi! I’ve really been enjoying your Bully blog posts so I’ve nominated you for the Reality Blog Award. I hope that more people will find your blog from the link on mine so they can enjoy it too. You can check out the award at http://animalpalooza.wordpress.com/awards/. Thanks for all your wonderful Bully posts!! My parents used to breed bulldogs when I was a young child. They are awesome! You have a very nice blog! Thnx for posting this awesome information. Keep up the great job. I’ll subscribe to your website also. Thanks! Thanks for finding and liking my Wordless Wednesday! Great looking dogs on your blog! I’m very happy you decided to rescue and rehome instead of breeding!